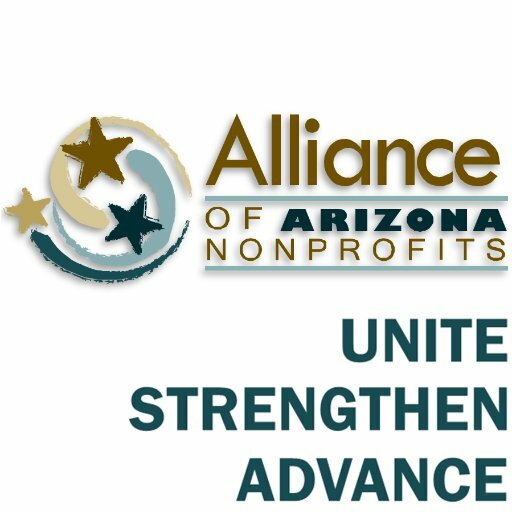 The Alliance of Arizona Nonprofits was formed in 2004 to be the unifying voice of the nonprofit sector in Arizona. We are the only statewide association dedicated to serving the needs of the more than 20,000 nonprofit organizations all across Arizona. We do this through advocacy, education, information, connection and resources, which are tailored specifically for nonprofits, their staff, their board and their volunteers. 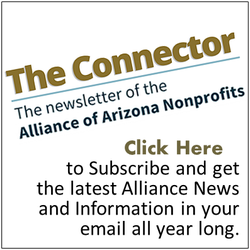 Our mission is to unite, strengthen and advance Arizona's nonprofit sector. Promoting the sector by projecting a collective voice to the public about the sector’s essential contributions and significant challenges in our communities.